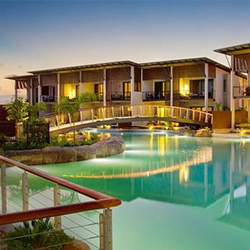 Started in 1983, Skycity Darwin is a hotel and resort located in Australia that offers you the utmost in entertainment. Whether you’re looking to gamble, relax, eat, or drink, Skycity Darwin provides you with it all. Because of Skycity’s superior location, you stay on 30 acres of tropical gardens along the Arafura Sea with Darwin’s only 5-star beachfront resort, complete with a white-sand beach. If you’re looking to experience unmatched and sensational comfort then visit their upgraded tropical resort and facilities. You’ll be able to relax in one of 152 modern hotel or resort rooms or one of the lagoon-style pools. There’s no need to worry about where you and your friends eat and/or drink because Skycity offers 5 restaurants and 7 bars. If you’re looking to make some money the fun way, play with over 700 electronic gaming machines or more than 25 exciting table games on a 24/7 gaming schedule. This easily makes Skycity Darwin one of the best Australian casinos. Other provided luxuries include wireless internet, a business centre, and fitness centre. There’s something for everyone at Skycity Darwin so you’ll be never feel bored. One of the best features of Skycity Darwin is their two tier gaming lounge. On the gaming floor, you’ll find TAB facilities, NTKeno, gaming promotions each week, 24-hour gaming machines, and gaming tables which become available at noon. With such a large selection of pokies, machines, and tables, a gambler of any caliber will be satisfied. Whether you’re an amateur just looking to have some fun or a professional looking to double their earnings, the machines and tables will leave you satisfied because jackpots are regularly won. 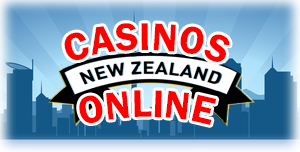 You could easily win anywhere from $4,700 to $55,000. With new and great gaming machine additions, you’ll be sure to find a game that best suits you. For beginner gamblers, the machines in the Cent City gaming lounge are a must-try. Play machines like the Fortune Queen and Gold City for just cents. As if that’s not enough, coffee and light snacks are also available at the Cent City cafe to keep you going. More serious players should visit the exclusive machines in the Skyroom and Diamond Room. Skycity’s VIP gaming suites host a wide range of machines like 5 Dragons Legend, 5 Dragons Gold, Rich Traditions, Fine Diamonds, Striking Stars, Dynamite Cash, Tunes of Fun, and Lucky Strike.